The Vision and focus of the San Juan English School is to enable local entrepreneurs, artists and professionals to communicate with foreign tourists and ex-patriots, whether they are just visiting, living in San Juan la Laguna or surrounding towns. This much needed service ensures that the local Mayan culture and history is passed on and shared with foreigners whilst building pride in the local people whose lives are steeped in deep cultural history. We design both group and individual classes specifically to our students requirements. With our educational partners in the USA and the UK , San Juan English School can offer graduate certificates of competence from leading universities around the world. These degrees will not only enable our student to find jobs locally but help to better serve the communities in which they live. Firstly, our students are regarded as clients. 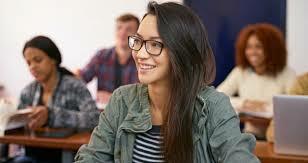 Here at the San Juan English school we design your English classes based upon your own specific requirements. For example, if you were an artist you would need to communicate the style, technique, message and feeling you are expressing in your art work. This would need to described to a potential buyer. This would be a completely different conversation as compared with that of a lawyer with his client who wishes to buy a house, or that of a doctor tending to his patient. This course is also designed specifically to the clients requirements. In the second course we delve into deeper communication skills and build on listening, understanding and appreciation of feelings with appropriate responses. The increased vocabulary required to describe the intangible or abstract. Preparation for Examination and Certificate of Competence.